Imagine having the beautiful smile you’ve always dreamed of! It may be easier than you think to make this dream a reality with the use of dental veneers. As one of today’s most popular dental procedures … dental veneers made of porcelain or dental resin are basically a long term solution to restoring many years of natural wear on your teeth. Porcelain veneers are a thin layer of ceramic or resin that is bonded directly to your teeth. We will work with you to help you choose the shade, shape and size of veneer to best suit your appearance and result in a natural looking smile. Veneers enable us to restore discolored, worn, cracked, chipped, spaced or misaligned teeth. By placing veneers over your teeth allows us to be able to lengthen short or worn teeth, close gaps between teeth and improve your overall smile, often in as little as 2 to 3 dental visits. Initial ExamAt this appointment, your dentist will examine the affected teeth in order to send accurate information to the dental lab. X-rays, 3-D imaging and impressions may also be taken to ensure accuracy. This information will be sent to the lab, and your custom porcelain veneers will be created within about one to two weeks. PlacementBefore applying the cement that will bond the veneers to your teeth, the dentist will place the custom veneers to ensure that they fit properly, He may need to trim or otherwise adjust the veneers, but this shouldn’t take long. Once the dentist is confident about the placement, cement will be applied and the veneers will be positioned. A hand-held light will then be used to permanently bond the veneers to the teeth. Final StepsOnce the cement is completely hardened and the veneers are successfully bonded, the dentist will remove excess cement from the teeth and evaluate your bite. 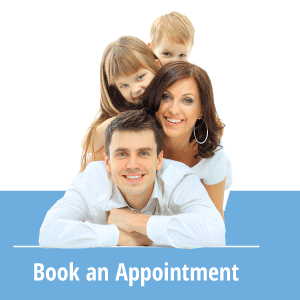 A follow-up appointment may be scheduled to ensure the quality of the veneers, or your dentist may wait until your next regularly scheduled oral exam.